We recently made some changes to our authentication software. If you use a bookmark to login to Kickserv, and you haven't updated it in awhile, you may experience this error. If you have saved any bookmarks or shortcuts to Kickserv on your desktop, you'll want to delete those. You can make new ones after you're logged back in. Clear the cookies for your Kickserv account. This page contains instructions on how to do that for your particular browser. If you want, you can clear all your cookies, but be warned that that will log you out of any and all websites you visit. 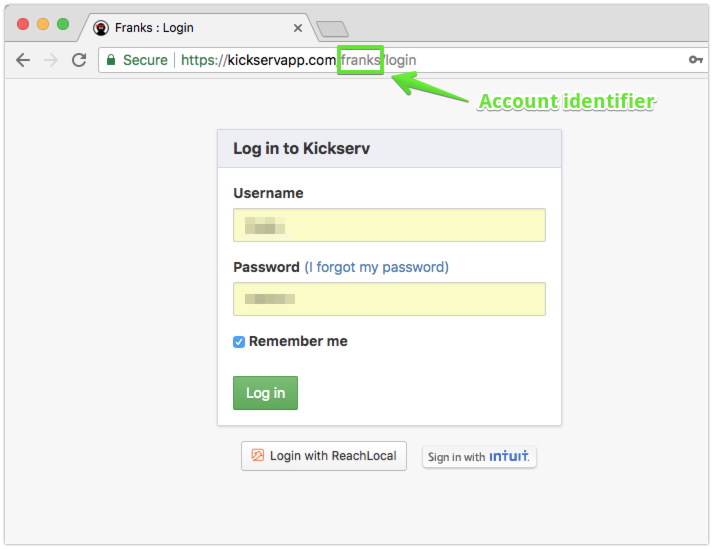 Hand-type the address of your Kickserv account in the browser's address bar. This looks like https://kickservapp.com/YOUR_ACCOUNT_IDENTIFIER, where YOUR_ACCOUNT_IDENTIFIER is the subdomain you chose at signup time. All your usernames and passwords are unchanged and will still log you in. Remember that usernames and passwords are case-sensitive. Be sure your browser does not attempt to capitalize the first character of your username if it is not a capital letter.